A group of 16 students and teachers completed a feat during the half term break that impresses me no end. 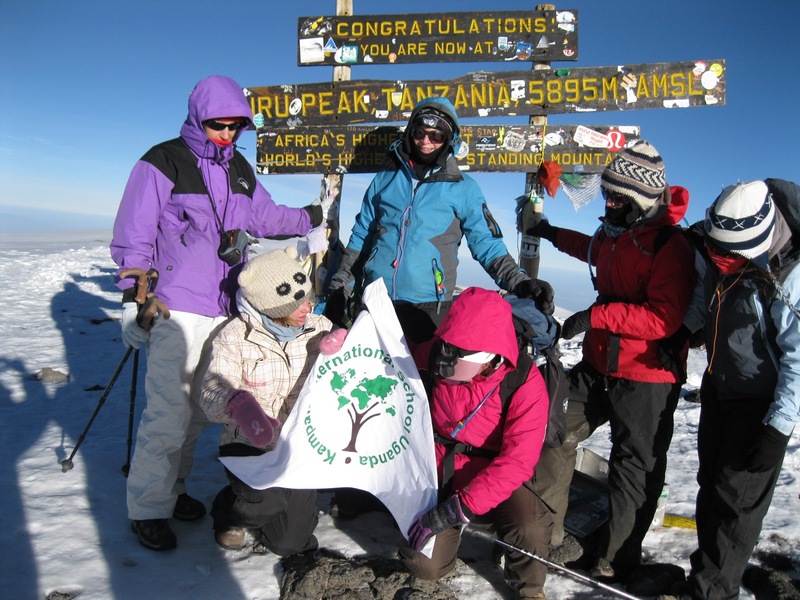 They attempted the seemingly insurmountable task of climbing Kilimanjaro. This is no easy walk in the park and involved a great deal of training before hand including long 8 hour walks in forests and up mountains and across dusty pot holed Kampala Streets. They shopped for thermals, packed and re packed back packs, tried out anti altitude sickness pills, experimented with boots and band aids and psyched themselves up with t-shirts and group pow-wows. And all the while I sat by, on the side lines watching in awe. For about 5 minutes I contemplated going. And then I remembered that I am not fit, hate exercise, can’t fathom the idea of 5 days without a shower, vomited on my first night in Copper Mountain Colorado ( altitude 9700 feet, Kili is 19,430 feet), and that I am, despite my hopeful ideas to the contrary, quite a princess. So it was not to be and part of me is furious with myself for being such a wimp and even more in awe than ever at those who even attempted such a journey. 11 out of the 16 made it to the final summit but all are heroes in my eyes for putting one foot in front of another, one at a time, for 6 days. I applaud them and am fascinated by the resilience and bravery they showed. That and the ability to endure great smelly discomfort for nearly a week. And here I am, complaining about 2 nights in a tent. Pathetic. Please read my friend Alison’s account of the trip. It really captures how it felt and is a great piece of writing.